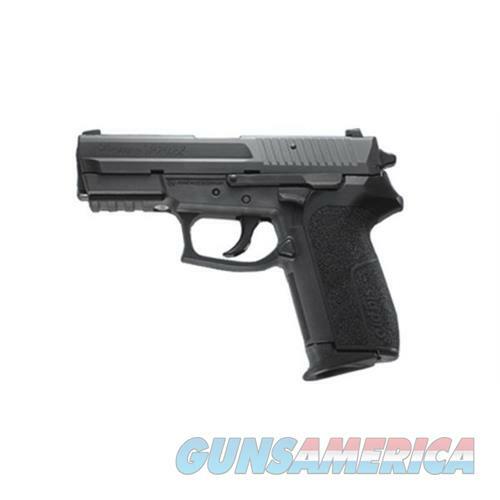 Description: SP2022® •DA/SA •Slide machined from a solid block of SS •Black Nitron® finish •Wear-resistant polymer frame •Polymer grips •Contrast sights •Accessory rail •Four-point safety system of decocking lever patented automatic firing pin safety block safety intercept notch and trigger bar disconnector •OAL: 7.4'' •Brl. : 3.9'' •Wt. : 29 oz.